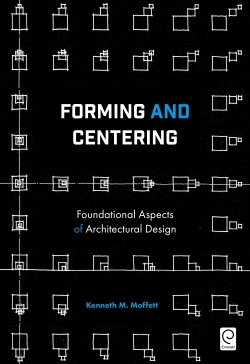 This book offers a cross-national perspective on contemporary urban renewal in relation to social rental housing. Social housing estates – as developed either by governments (public housing) or not-for-profit agencies – became a prominent feature of the 20th century urban landscape in Northern European cities, but also in North America and Australia. Many estates were built as part of earlier urban renewal, ‘slum clearance’ programs especially in the post-World War 2 heyday of the Keynesian welfare state. During the last three decades, however, Western governments have launched high-profile ‘new urban renewal’ programs whose aim has been to change the image and status of social housing estates away from being zones of concentrated poverty, crime and other social problems. This latest phase of urban renewal – often called ‘regeneration’ – has involved widespread demolition of social housing estates and their replacement with mixed-tenure housing developments in which poverty deconcentration, reduced territorial stigmatization, and social mixing of poor tenants and wealthy homeowners are explicit policy goals. Academic critical urbanists, as well as housing activists, have however queried this dominant policy narrative regarding contemporary urban renewal, preferring instead to regard it as a key part of neoliberal urban restructuring and state-led gentrification which generate new socio-spatial inequalities and insecurities through displacement and exclusion processes. 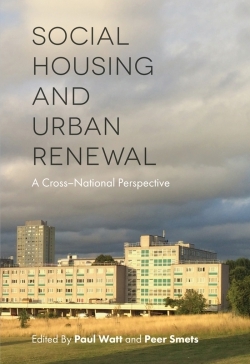 This book examines this debate through original, in-depth case study research on the processes and impacts of urban renewal on social housing in European, U.S. and Australian cities. 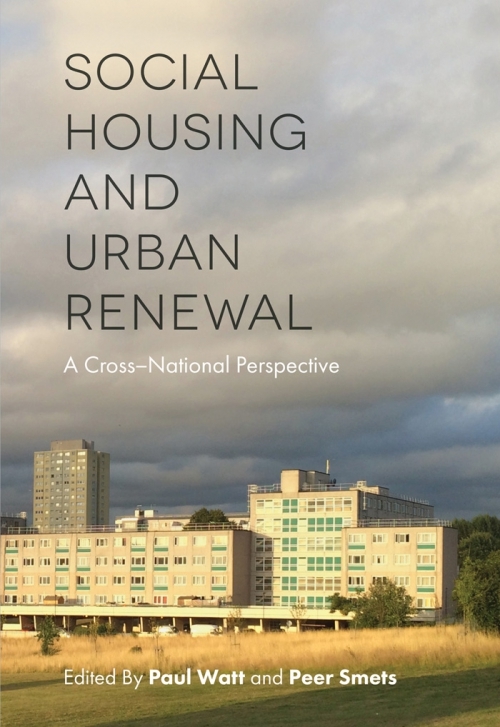 The book also looks beyond the Western urban heartlands of social housing to consider how renewal is occurring, and with what effects, in countries with historically limited social housing sectors such as Japan, Chile, Turkey and South Africa. Paul Watt is Reader in Urban Studies at the Department of Geography, Birkbeck, University of London, UK. Recent publications include, Mobilities and Neighbourhood Belonging in Cities and Suburbs, co-edited with Peer Smets (Palgrave Macmillan, 2014); and London 2012 and the Post-Olympics City: A Hollow Legacy?, co-edited with Phil Cohen (Palgrave Macmillan, 2017).